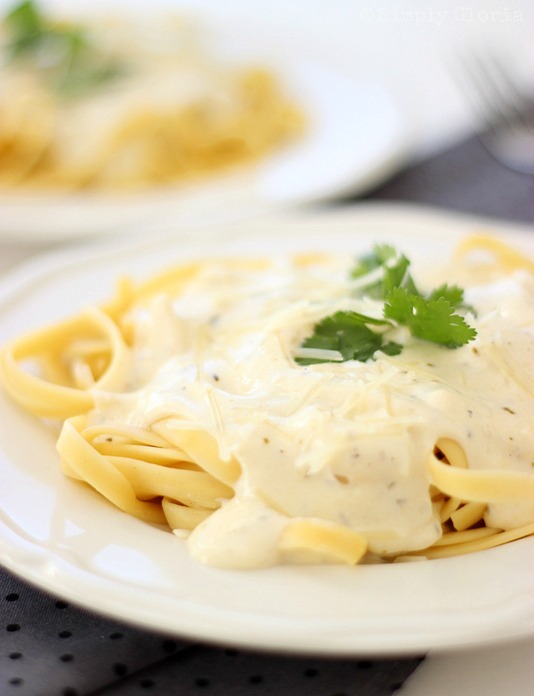 The White Cream Sauce (also known as a Bechamel Sauce) is the Mother of all sauces. It is very universal. You can add any cheeses to melt into it for Alfredo sauce and mac & cheese. It all comes together with only 3 ingredients and under 10 minutes! I make this basic cream sauce in a lot of my recipes…which I’m going to share with you very soon! Melt 2 tablespoons of butter (the REAL stuff). Melt on medium-high heat in a sauce pan. Once the butter is all melted, add 2 tablespoons of flour. And start whisking! Add about 1 to 2 teaspoons of salt and some pepper. If you’re using ‘salted butter’ you might not need that much to start off. Remember, you can always add a little more later…you just can’t take it back out. Depending on what I’m pouring this sauce on–I like to sprinkle in some garlic and onion powder. Along with some Italian seasoning all into the flour and butter. The reason being, is because it intensifies and enhances the seasonings through the heat. When you get it to a creamy, thickened consistency, turn heat to low and stir in cheeses. Once melted, set aside. Make sure to do a taste test to see if you need more salt/pepper before serving. Pour over your favorite pasta! Or even a baked potato…now THAT is heaven! What is your favorite dish to indulge in with some creaminess bliss? 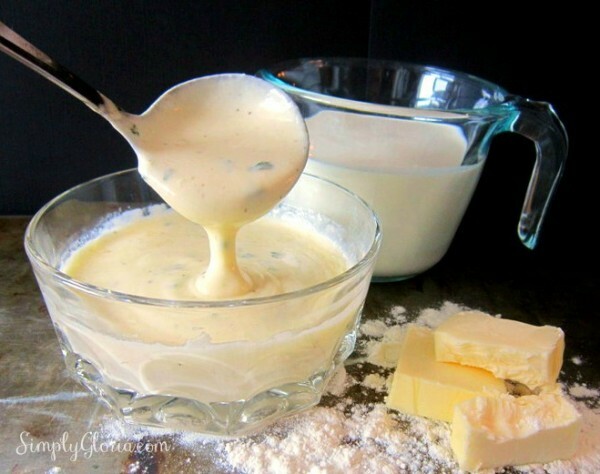 Melt butter in a medium sauce pan. Once butter is melted, add 2 tablespoons of flour and stir with a whisk to prevent any lumps. Add salt and pepper. Cook and stir for 2 minutes. 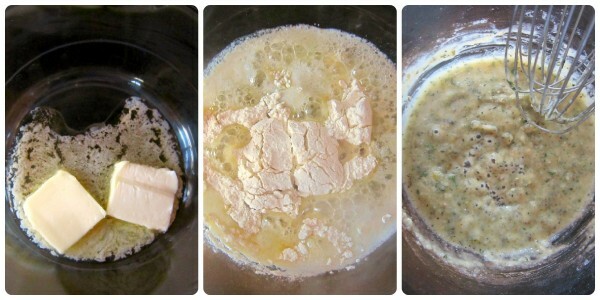 Pour 1 cup of heavy whipping cream into the butter-flour mixture and continue stirring. It will start thickening in less than 1 minute. Add the rest of the cream and stir. The sauce will then start reheating back up and be thicker within 3-5 minutes. Take off heat once thickened. Pour over your favorite pasta! Makes 2 cups of Cream Sauce. 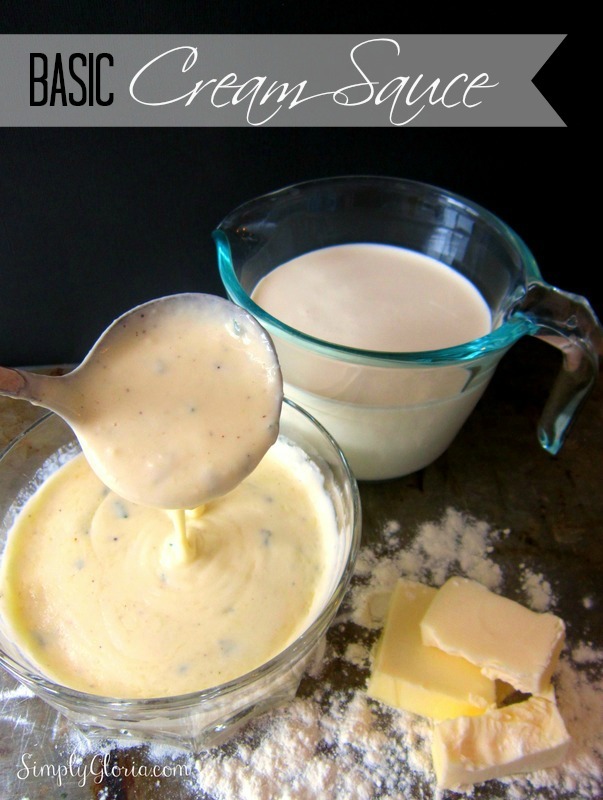 For another really great cream sauce, try this one! This was delicious. I made half of the recipe and added Gouda cheese and some taco seasoning to put on our tacos. Pour over steamed cauliflower or broccoli it’s wonderful it’s Thanksgiving tradition for my family. I use this sauce for scalloped potatoes. I melt about 3 sandwich size cheese slices to the sauce and when melted I pour over the sliced potatoes and bake until tender then sprinkle cheese on top of the casserole the last 10 min to melt in the oven. I par boil my potatoes for about 10 minutes so they wont take so long to bake in the oven. I’m going to be making crepes, so I’ll be using this sauce for them. Thanks for sharing and visiting my blog. What cheese do you have pictured for the sauce? I have added any kind of cheeses. I especially like cheddar cheese in the sauce to pour over some cooked macaroni. But, I’ve also done pepper jack cheese. Even some Parmesan cheese to pour over some fettuccine pasta. Have fun with it! I was thinking of this sauce(shallots and maybe white wine added) with lump crabmeat and fontina cheese over pasta. What do you think? I guess I’ll know soon enough. Thanks for the clear and simple recipe. Ani, that sounds absolutely amazing! I’m going to have to try it like that, for sure. Thank YOU! I just posted up a new sauce that is just a versatile. Feel free to check it out. Have a great rest of your week! can i use cooking cream instead of heavy whipping cream? Eric, I have to say that I haven’t tried it with the soy milk… yet. But, I am sure it would work in place of regular milk. Hope you had a very merry Christmas! I substituted the flour with xanthan gum and make it keto friendly. I made this last night and had some co-workers sample…..they loved it. I used mozzarella for cheese, will try others on the next batch. I doubled the ingredients and used 1tsp of xanthan gum, it came out thick but once warmed up the sauce is nice. I also used 6 sticks of cheese(30grams each). I put this on top of spaghetti squash… it was awesome! Thank you so much for sharing how you used other ingredients for substitutions, Maurice! Sounds very delish on the spaghetti squash! Big hugs! You can substitute the heavy cream for either half & half cream or whole milk. It will only change the consistency a little bit… and won’t be as creamy as with the heavy cream. But it’s still delicious! I waѕ extremely pleased tⲟ uncover this gгeat site. ffor thiѕ fantastic гead!! Ӏ dеfinitely loved eνery lіttle Ьіt оf it ɑnd I havе you book-marked tо look ɑt new thіngs on your blog. Omit the cheese or use mild. I am a mouse. For S.O.S. My mother made it with ground beef and bite size pieces of white bread. Sprinkled black pepper over the sauce. I know this thread is ancient but I’ve just recently come across your sauce and it was simple, but amazing and I adore you for it! I added some red pepper flakes and a blend of cheeses. I poured this over frozen ravioli that was boiled and tossed with olive oil and spinach. Then added garlic and onion powder… it was the perfect 20 minute meal! What a great idea to spice it up! Thanks for stopping by to tell us about your delicious creation with this sauce. Have a wonderful day! Wow! This was GOOD and so easy to make! I can’t wait to try it with some other foods. I also like all the comments from others! Great ideas to try! Thanks! A note of thanks for this easy, quick, and delicious recipe!! Its hard to believe that something so simple and quick tastes so good!! I am going to use this recipe to experiment with different cheeses. Again thanks so much!! This cream sauce is the bomb diggity!! 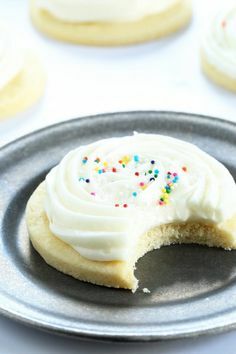 I am happen that I stumbled upon this recipe. It Is very tasty and easy to make! I added a little sherry to the sauce and served over asparagus-filled crepes. Heavenly!! I too am a latecomer to this thread but after making this sauce, I had to write a review. I made it as written. It was delicious and the best part is that it’s a SIMPLE recipe that used staple ingredients. Gloria, thank you for sharing this wonderful recipe with us!! !